Manchester United have already made two signings in this summer’s transfer window, and might be looking to make a third in the near future. 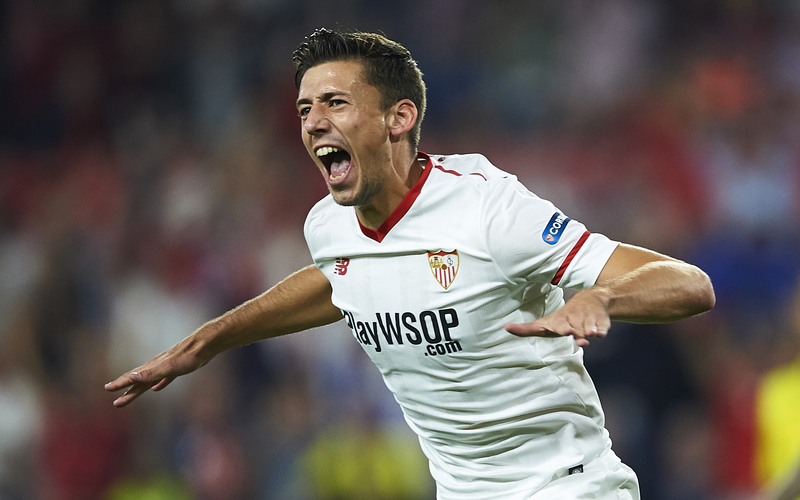 According to reports from L’Equpe, United have contacted the representatives of Clemebt Lenglet, who currently plays for La Liga side Sevilla, in an attempt to sign the player. The Frenchman had a breakout season in 2017/18, becoming a constant presence in the Sevilla team, starting a total of 44 games in all competitions. He also featured in both legs when Sevilla eliminated Man U from the Champions League, only conceding once over the course of 180 minutes. There was a chance he could’ve been a surprise call up to the French national team for the World Cup, but ended up just missing out on a spot on the roster. Many have assumed United would be targeting a center back in the summer due to the clubs weaknesses at the position. Eric Bailly is the only player at the club who is a consistently quality defender, while Phil Jones and Chris Smalling have proven that neither are good enough anymore. Marcos Rojo is best used as a squad player, as he liable to make careless mistakes at the back. Many still have hope for Victor Lindelof, but it seems he will need a few more seasons before he becomes a top tier centerback. As Lenglet only turns 23 during the summer, his potential signing would definitely be one with the future in mind. He still needs time to grow as a player, and has a few years left before he enters his prime. However, many believe United need an older, more experienced centerback, who can walk into the starting lineup on day one. There are some theories floating around online that United might just be using Lenglet as a pawn, in an attempt to sign Toby Alderweireld for a cheaper fee. Spurs chairman Daniel Levy is known to drive a hard bargain, with recent reports indicating that the London club are demanding over £55 million for the player. However, Alderweireld with have a release clause of only £25 million next summer, which makes it likely that Spurs will want to cash in on him while they have the chance. If they see that United are willing to look elsewhere for a center back, they will probably lower their demands, and allow the Belgian defender to leave for a more reasonable fee. Whatever the case may be, this storyline will definitely be one to keep an eye on as the summer months roll on.